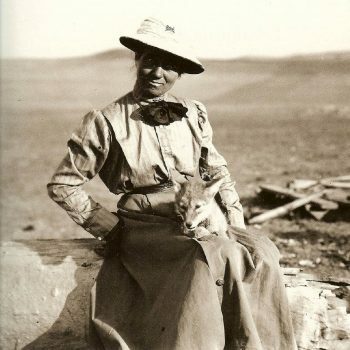 Using the wealth of information provided by Evelyn’s diaries and letters, historic interpreter Mary Jane Bradbury will present a portrait of this remarkable British immigrant, who settled in Eastern Montana, where she became a remarkable photographer. Taking on the character of Evelyn Cameron, Bradbury will provide a first-person look at Cameron’s biography, artistry, and passion for the western landscape and its inhabitants, both human and animal. Mary Jane Bradbury is a scholar and actress with over 25 years of experience who brings history to life for audiences of all ages in the Rocky Mountain region. She is a member of the Humanities Montana and Colorado Humanities Speakers Bureaus, and before moving to Montana, was an historic interpreter for the Denver Museum of Nature and Science.